View the archived hearing here. The hearing touched on many overarching issues surrounding CTE and the role Perkins has as a catalyst for improving and innovating the CTE system across the nation. Rep. Glenn Thompson (R-PA), co-chair of the Congressional CTE Caucus, summed up these issues saying, â€œThe big picture weâ€™re talking about today is competitiveness and having a qualified and trained workforce . . . CTE is not a field of dreams, but a field of jobs.â€Â Rep. Thompson went on to note that CTE programs are the driving force for ensuring the United States remains a leader in global competitiveness. Over the course of the hearing, Fischer used NASDCTEcâ€™s vision statement, Reflect, Transform, Lead: A New Vision for CareerÂ Technical Education, to organize his testimony. He spoke about the need for common data collection standards, definitions, and incentives; clear expectations for high quality CTE programs; and a more active role for states. He also emphasized strengthening collaboration between secondary CTE, postsecondary CTE, and businesses through consortia and private-sector engagement. Fischer highlighted Vermontâ€™s use of its reserve fund as an innovation fund and explained how that model could be applied nationally. Frank Britt of Penn Foster spoke of the advantages to online, hybrid, and blended learning programs. Through these programs, students have the opportunity to take additional classes, earning credits for courses that are not offered at their home school, and to provide paced instruction tailored to the individual needs of a student. The other witnesses, Sheila Harrity and Alvin Bargas, emphasized the important role of business and industry in the CTE system and the need to better link CTE programs to current and future labor market needs. NASDCTEc has met with the Democrat and Republican Committee staff as they begin their deliberations on Perkins and will continue to do so as the process unfolds. 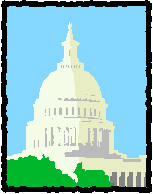 Now is the time to engage with your Congressional representatives and their staff! Tell them how CTE is working in your state or district. Learn more about NASDCTEcâ€™s recommendations for Perkins reauthorization here. Under current law, the federal government is funded only through September 30th with a new fiscal year beginning on October 1st. If Congress fails to pass a Continuing Resolution (CR) to temporarily fund the federal government, it will cease all non-essential functions until an appropriations bill is signed into law. A shutdown would be felt almost immediately and affect many core functions of the federal government. Last Friday, the House narrowly passed a short-term CR that would fund the government until December 15, 2013, and maintain current sequester spending levels. However, the stopgap funding resolution or House Joint Resolution 59 (H.J. Res 59), also includes a provision to defund the Affordable Care Act, President Obamaâ€™s signature healthcare law. The Senate is now poised to take up this spending bill and will most likely strip this provision out and send a â€œcleanâ€ version, without the defund provision,Â back to the House for consideration. After that it is not entirely clear how the process will unfold. The House will either need to pass the bill as is, or mark it up and send it back to the Senate for approval. Both President Obama and Senate Democrats have said that they will not approve a bill that includes the so-called â€˜defund Obamacareâ€™ provision. Because of this, both the House and the Senate are at an impasse and compromise will be needed to keep the government functioning after the end of the month. We will continue to update members through our blog as more information becomes available. This entry was posted on Monday, September 23rd, 2013 at 2:45 pm	and is filed under Legislation. You can follow any responses to this entry through the RSS 2.0 feed. Both comments and pings are currently closed.